It can be difficult knowing where to start when hiring a house cleaner. With so many options ranging from small businesses to franchises and individual cleaners, how do you know how to pick the right Colorado Springs residential cleaning service? If you’re interested in hiring house cleaning services for your home, consider these five important questions to ask when interviewing residential house cleaners. If you ask 10 different cleaners, you may receive 10 different hourly rates or packaged deals. Most charge an hourly rate and rates may vary based on the services requested. 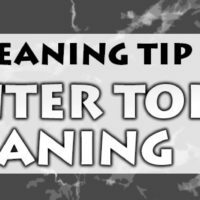 First time cleanings may require more time for deep cleans while additional visits for maintenance cleaning shouldn’t take as long. If you’re concerned about cost, you can ask a company to cap estimated hours to avoid higher fees. Are house cleaners trained and given background checks? When researching cleaning companies, it’s important to ask about the training and if their house cleaners are properly screened. Most reputable companies screen and train their employees, but hiring independent contractors requires diligence on your part to screen potential applicants and perform background checks. Proper background checks ensure the safety of your home and your belongings. Professional companies should be bonded and care proper insurance to cover you and your home in the event an accident happens or possessions go missing. Take the safe route by making sure the company carries liability insurance so you know you and your possessions are covered. Are cleaning supplies and equipment provided? One of the benefits of hiring a Colorado Springs residential cleaning service is not needing to worry about any details related to cleaning. Great cleaning companies bring their own eco-friendly cleaners which are safe for you and safe for the environment. Most of the time they may use your vacuum, but good house cleaners should bring the cleaning supplies with them. Do you offer a guarantee on quality results? What if you’re not completely satisfied with a cleaning job? Ask if a guarantee is available if services aren’t provided to cleaning standards. Many reputable companies offer a guarantee to have a cleaner come back within 48 hours to clean areas which may have been missed. You likely won’t need this with thorough, professional companies, but it’s a nice guarantee to have just in case you do. With research and by asking the right questions, hiring a house cleaner doesn’t have to be a chore. Communicate your cleaning needs with a company and double check they’re taking proper precautions to protect you and your property. For Colorado Springs residential cleaning, contact the professional crew at Maid to Shine for your house cleaning needs.